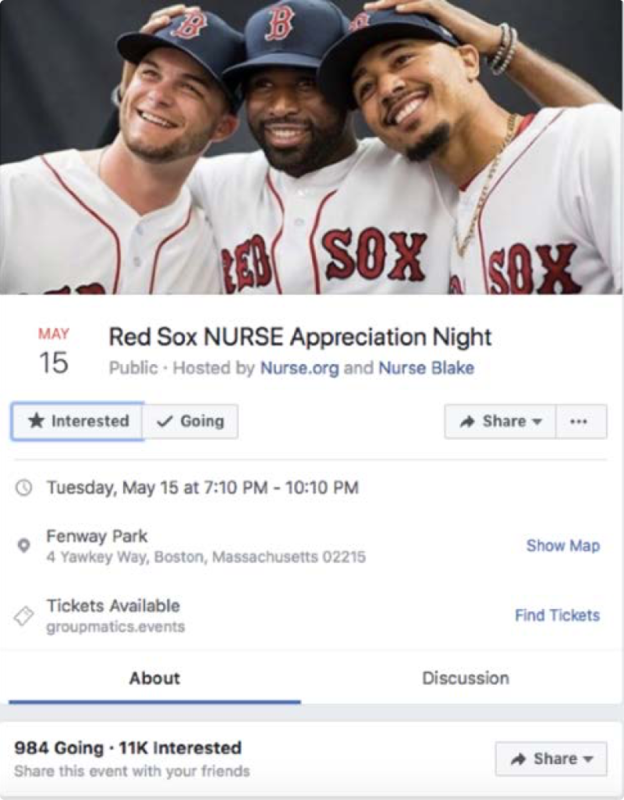 In their second year running the Nurse.org night, the Boston Red Sox have more than tripled their tickets sales. Their team equated much of the growth to the powerful social integrations that Groupmatics provides their user and the ability for the Red Sox to monitor and restock their inventory as deadlines approached and tickets were selling out. Put tickets onto your group leader’s account in your ticketing provider and invite them to the Groupmatics platform. From here they can access powerful tools to promote their outing via email or social media while tracking their sales. Sales Reps can easily keep tabs on performance, manage the reserved inventory and provide support for their group leaders. 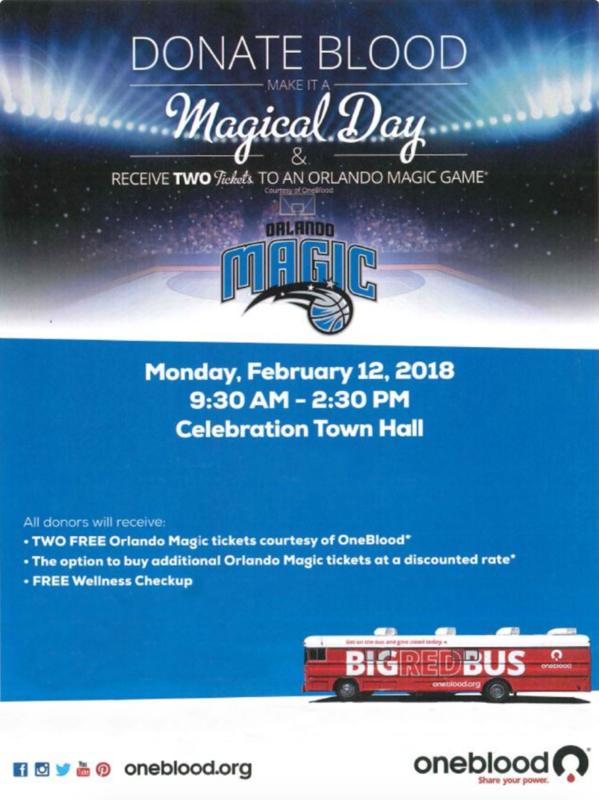 The Orlando Magic partners with OneBlood, a local blood bank, to offer 2 free tickets to a weekday game in March and April to all blood donors at the drive. For the 2017 - 2018 season, Orlando Magic brought this offer online using Groupmatics and grew sales over 3 times for the year! Previously, the Magic used paper flyers to redeem tickets and entered the data manually into their CRM. With Groupmatics, each donor received a unique discount code valid for 2 free tickets and a link to all the available games for their offer. The donors used the code at checkout to get their free tickets, and, with Groupmatics’ software, could also purchase additional tickets in the same transaction. This allowed them to redeem their free tickets and purchase additional seats all next to each other. Additionally, donors were able to opt into more information about season tickets or hosting their own groups during checkout. After the purchase, the buyer received their digital tickets immediately with the Groupmatics-Ticketmaster integration. This program increased sales, reduced manual effort and generated hundreds of new leads! Set up voucher programs with unique discount codes for buyers to receive a set number of free tickets. If they would like additional tickets they will have the opportunity to purchase more at full price. The best part is the buyer can select their specific seats so their discounted tickets and full price tickets can be next to each other, incentivizing more attendance to the game. Don't miss out on this additional revenue! 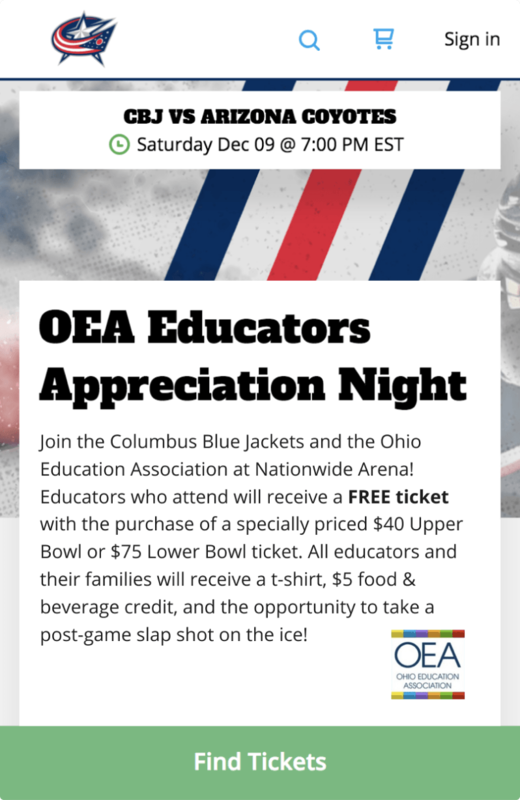 The Columbus Blue Jackets run a Ohio Education Association Appreciation Night every year, but for the 2017-2018 season they changed things up and saw great results. Their offer has been run through Groupmatics for the last few years in March, but this last season, the Blue Jackets moved the offer to December so that they could create a follow-on offer for later in the season. After the annual Appreciation Night, the group leaders helped promote the follow-on offer to their members on social media and through their email list, while the Blue Jackets promoted to previous buyers and schools. They drove their promotion using Groupmatics’ tools and data analytics, resulting in the follow-on offer to selling more than 10% of the tickets that the Appreciation Night did! When setting up a new outing in Groupmatics, you can limit the seat availability based on your preferences. Then, you can choose which past outings you would like to promote your new outing to and share the outing page with their buyers and group members. It’s also easy to add a special offer discounts on the bounce back offer to entice additional purchases! Major League Baseball is transitioning their commissioner's office and broadcast partners to digital tickets. While this might seem like a easy transition, the large number of tickets distributed for all 30 MLB teams complicates things greatly. Groupmatics’ distribution platform centralized all 30 teams’ tickets and their market segment tickets into one system. This streamlined a highly manual, week-long coordination process to only a few hours. 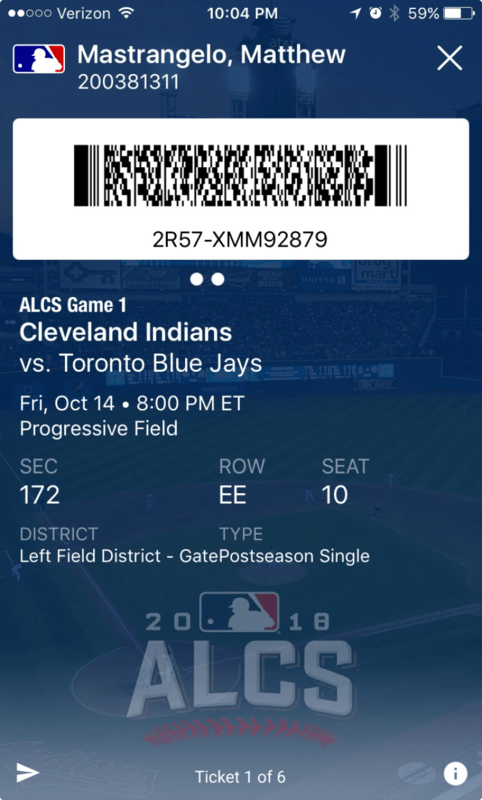 Now the Special Events team at MLB can allocate to their different departments and track how those tickets are being shared with their partners, vendors and employees. The final recipients of the tickets are guided through the digital ticket process to access their tickets from the MLB Ballpark app. All MLB teams provide tickets to the commissioner’s office. These tickets are loaded into the Groupmatics Distribution platform and then the Special Events team can allocate or forward the tickets to the appropriate people. If tickets are un-forwarded prior to the game, users are alerted so that tickets don’t go unused. Not only does simplifying the purchase process help ticket sales, but including add ons such as loaded value and parking passes in the purchase flow makes it easy for your buyers to spend more. Buyers can also opt in to learning more about season passes and hosting their own groups when purchasing through Groupmatics, creating warm leads for your sales team. With great social sharing features and the only Facebook Events integration in the industry, your group leaders can promote their tickets to more people with one click. Your sales reps will be able to manage more opportunities and relationships when using Groupmatics. They can keep an eye on inventory , have less orders to fill and no credit cards to run because all sales are automated online. 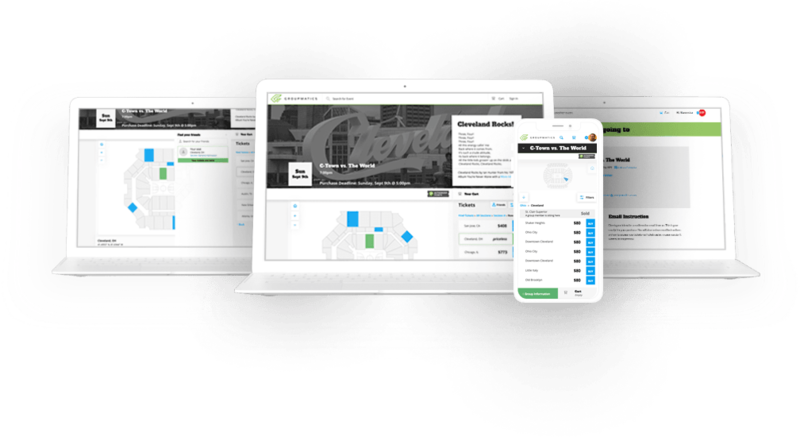 Our integrations allow your team to sell tickets from reservations or open inventory so you can manage your inventory, your way. You can even set deadlines and automatically switch from selling tickets on a reservation to open inventory. After the deadline we automatically payout your groups. Splitting ticket sales for fundraiser groups also becomes a breeze. Group tickets are the last frontier for digital tickets. 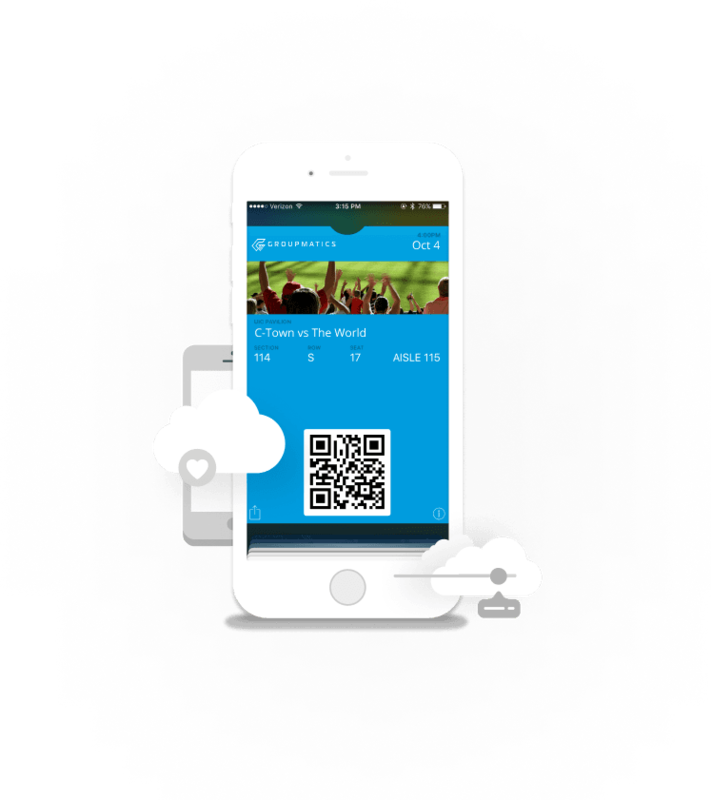 Groupmatics' solutions provide tools to turn every type of group ticket into a digital ticket. With our industry leading integrations your buyers will receive their tickets instantly upon purchase. Our integrations don’t delay in assigning tickets, avoiding wait and confusion for your ticket buyers. This is vital for customer satisfaction. buyer data and create new leads. Get real time reporting on tickets sales and where traffic is coming from. 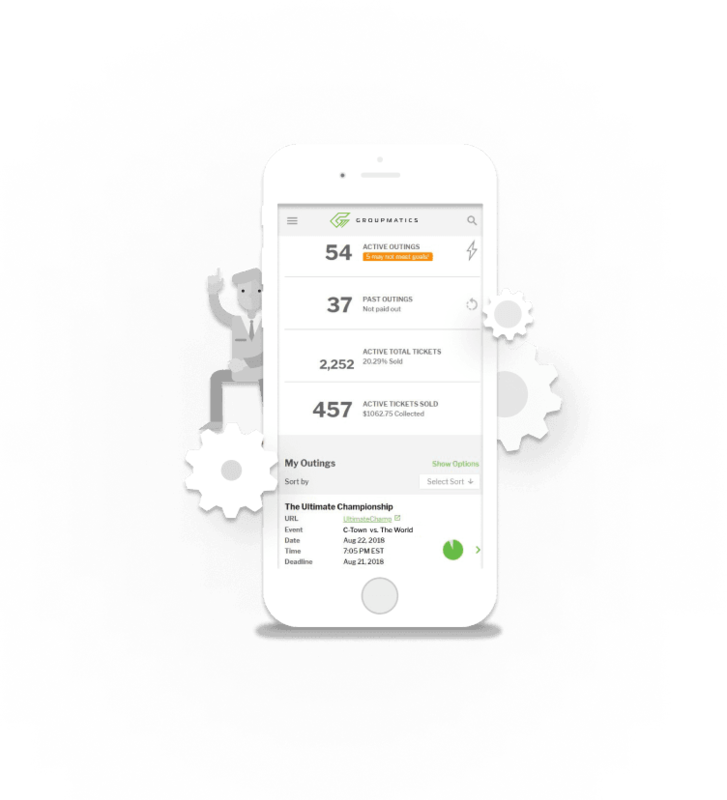 Our data analytics software compares data across your groups, reps or seasons. 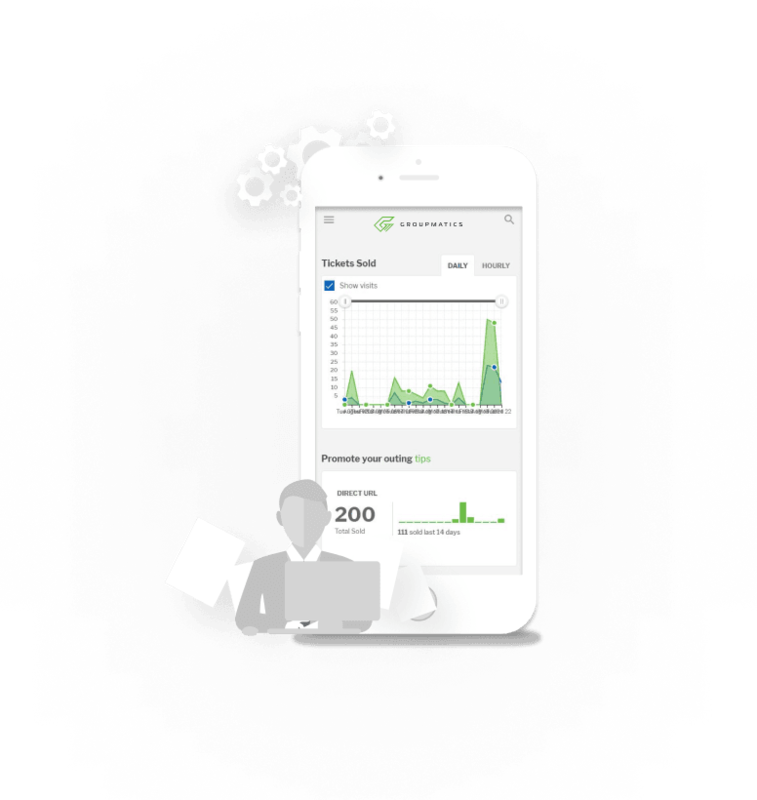 Additionally, sales data can be shared with your CRM through our data API. Groupmatics improves the typical ‘contact to ticket’ ratio of 1 to 75 to 1 contact for every 3 tickets sold. Our data analysis is proven to help your team sell more tickets. Groupmatics is a team of ticket industry experts and data-driven technology innovators working to create a world class company with industry leading software. We’re on a mission to make every group, special event or non-traditional offer easier to sell and manage while helping you create new revenue opportunities through the data we collect. Everyday we’re focused on building better tools with our partners and their guests. 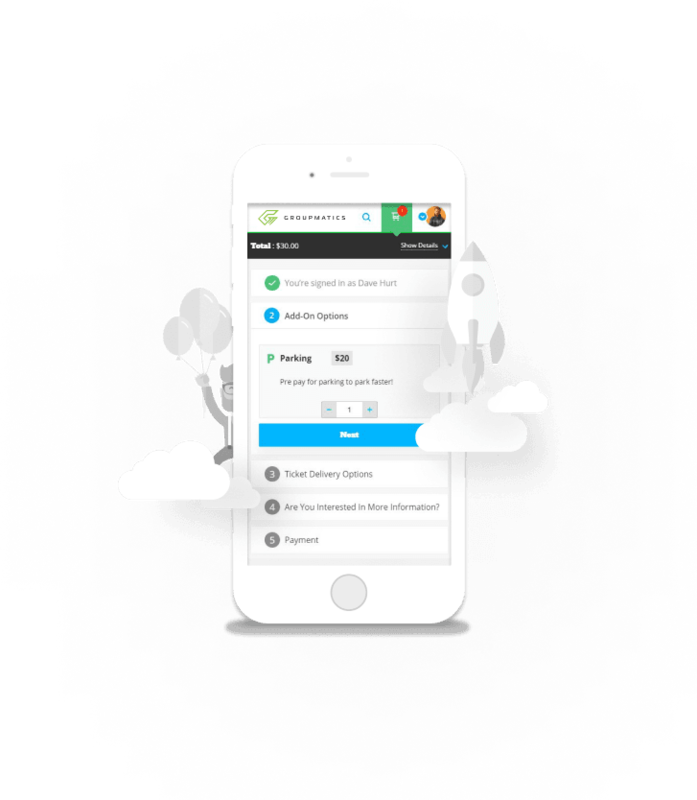 Our software is always evolving through user testing, partner feedback and technology innovations. We work with 200+ sports and entertainment organizations across the world. Want to learn more about Groupmatics? Send us a message and we’ll follow up! We’ll review your message and will get back to you as soon as possible. To access your tickets please check your inbox for the confirmation email sent upon your purchase. If you cannot find your email and you have an account with Groupmatics please log in and view your account details, where you order information will be.